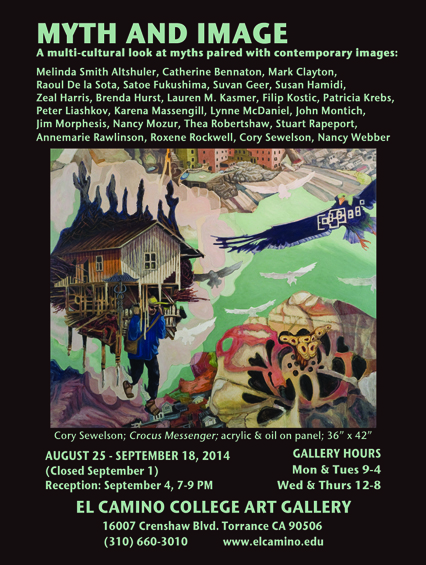 My painting, “Crocus Messenger”, on the cover of the invitation for this show. The exhibition was curated by Susanna Meiers. The show opens August 25 and the reception is on September 4th from 7-9pm. This entry was posted in Show on August 3, 2014 by Cory.